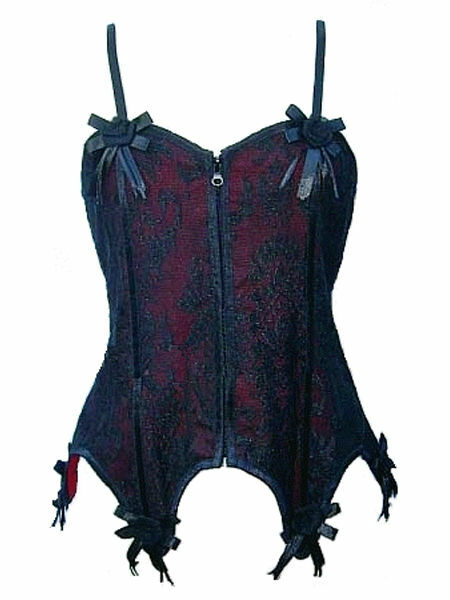 A pretty gothic corset basque from Dark Star with a front zip opening and adjustable metal eyelet and cord corset lacing at the back. 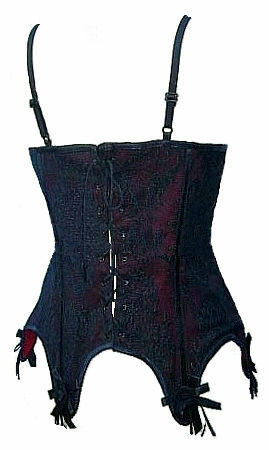 The main fabric is red cotton covered with fine black lace. Black organza roses set on black ribbon bows decorate the neckline and the shaped hem. 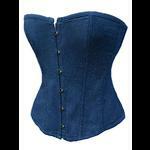 The shoulder straps are bra style and adjustable. Boned in two places at the front and two at the back. Choker available separately from a wide range in our jewellery section. Length from underarm to side: 15"